Address: Eastlink Business Park, Ballysimon Road, Limerick. 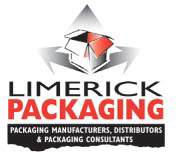 Main Product Services: Corrugated Boxes, Polythene Bags, Edgeguards, Palletwrap, Strapping, Tapes. © 2019 Tara Publishing Co. Ltd. All Rights Reserved.